Joining Melanie, Mary, and Allision are bassist Harry D’Agostino, mandolinist Ryan Chappell, and percussionist Dean Mahoney. The band’s self-titled debut showcased an adventurous blend of folk, R&B, jazz, gospel, and rock ‘n’ roll. Upstate’s new album reveals a shortening of the band’s name from its previous “Upstate Rubdown.” It’s was produced by The Wood Brothers percussionist Jano Rix, and it’s full of beautiful harmonies and eclectic arrangements. In a review for Atwood Magazine, Mitch Mosk praised Upstate’s memorable and accessible music. 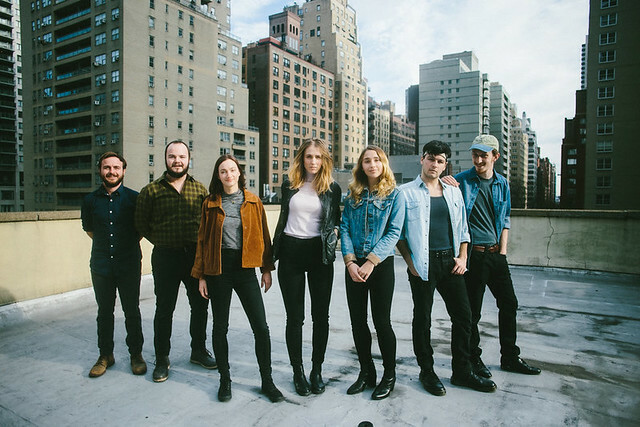 “With a warm soul-tinged folk core, strong pop sensibilities, and a taste for gorgeous harmony, Upstate are all too easy to fall in love with. Blending folk, R&B, gospel, rock, and jazz influences into an alluring but often hard-to-categorize sonic identity, the band has garnered respectable comparisons to early Lake Street Dive and Phox – acts who, like Upstate, broke genre molds without missing a beat (literally),” Mitch wrote. Go to the show early for Upstate as they open The Lil Smokies!